Part of the fun of being a book lover in a city like Toronto is that there’s never a shortage of bookish events to attend. One of the most exciting and thought-provoking of the year is the Books on Film series, presented by Toronto International Film Festival at the Bell Lightbox. As you may know, I love the intersection of literature with other media, seeing interpretations of great books as movies, tv series, ballets, plays, and more. Over the course of six evenings that explore great films that were inspired by great books, the Books on Film series is presented in association with Random House of Canada. Each evening features a different book-to-movie with a different guest expert, and the series’ host is near and dear to many a reader’s heart: Eleanor Wachtel, of CBC’s Writers and Company. Subscriptions to the series are available for $153 for TIFF Members or $180 for non-members (prices include tax). Based on availability, single tickets may be released closer to the event. The first 100 subscribers will receive a complimentary copy of each book featured, courtesy of Random House of Canada. La Bayadère. Svetlana Zakharova as Nikiya, Yekatarina Krysanova as Gamzatti. Photo by Yelena Fetisova. Sometimes I forget how amazing—and how connected—our world is. Then, I find myself in a movie theatre, watching a live performance of the famed Bolshoi Ballet, beamed around the world to me via satellite. Cineplex offers a fantastic opportunity to see ballet (and theatre and opera) from esteemed troupes around the world, and seeing it at the exact moment it’s happening on a stage somewhere far away. I have never experienced the Bolshoi in person, but I have seen them live several times over the past few years thanks to this technology. I happily attended Sunday’s production of La Bayadère, not quite sure what to expect. I’ve never seen a Canadian company offer this ballet before, though I was aware that it is a Marius Petipa ballet, with music by Ludwig Minkus, the team behind other ballets including Don Quixote. What I witnessed was a mixed bag of flawless dancing and deeply troubling choreography, storytelling, and cultural stereotypes. Starring Ian McKellen, Martin Freeman, Richard Armitage, and Andy Serkis; featuring Ian Holm, Elijah Wood, Cate Blanchett, Hugo Weaving, and Christopher Lee. Every year or two, I take a day to watch the entirety of the Lord of the Rings trilogy (extended editions, of course), back-to-back-to-back, immersing myself completely in its vast, beautiful, bleak, bright world. From its epic battles to its fleshed-out characters, its deep wells of emotion and its timeless themes, I think they’re wonderful adaptations that deftly cut and rework the source material to make strong films. I was excited when The Hobbit was first announced, but apprehensive at the news that the film would be split into first two and then three films. The Hobbit, after all, is about half the length of each of the volumes of the Rings cycle. It doesn’t have a whole lot of source material to draw from for three films. Sometimes, a thing grabs you and doesn’t let go. For me it’s usually a book (“I must read more about this Harry Potter kid!”) or a TV show (“But if the Cigarette-Smoking Man is behind it all, how will Mulder and Scully ever reveal the truth?!”). I tend to just give myself over to whatever the thing is and let it occupy more of my brainspace than is probably healthy, enjoying every moment of my mini-obsession until its object ends or my attention drifts onward to the next thing. They thought of funny things until their thinking came alive. And that’s what this game is. You’re inside their thoughts. Go and make them bigger and we’ll play for a long while. And with that little song, I fell in love with a game called Glitch. I’m not a gamer by nature. I enjoy watching my partner play narrative-driven video games but I’ve just never been a pick-up-the-controller-and-play kind of person. That changed in September, when I saw a strange trailer for a game full of beautiful landscapes where little humanoid things came about because 11 Lovecraftian Giants imagined them into existence. The characters, or Glitchen (singular: Glitch), exist in an imagined world called Ur and their mandate, first and foremost, is to frolic. This game was like living a highly imaginative choose-your-own-adventure novel, and so terribly sadly, it came to an end yesterday. 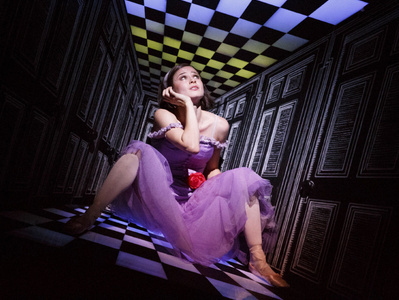 Elena Lobsanova as Alice in the National Ballet’s 2012 production of Alice’s Adventures in Wonderland. Photo: Bruce Zinger. Few books have been adapted as many times in as many forms as Lewis Carroll’s classic Alice’s Adventures in Wonderland. From TV to movies to comic books to theatrical productions, from narratives that focus on the real-life relationship between Carroll and Alice Lidell to ones that are purely about the story itself, Alice has seen many iterations (just take a look at its Wikipedia page). As source material for the wordless medium of ballet, this book might seem a difficult choice. After all, it is a work that defines nonsense literature and plays with words and with logic throughout. The National Ballet of Canada’s production is more than up to the task. Starring Irrfan Khan, Suraj Sharma, Rafe Spall, Tabu, Adil Hussain, Shravanthi Sainath, Vibish Sivakumar, and Gérard Depardieu. 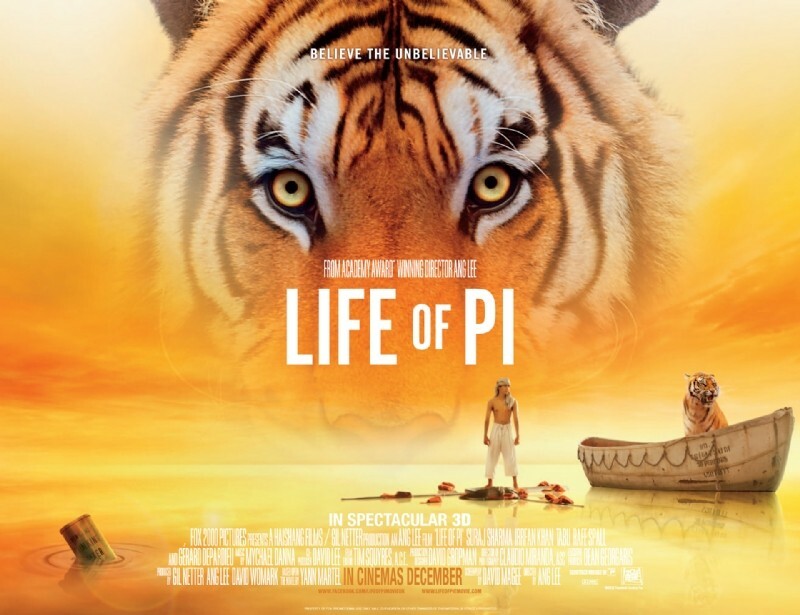 Read the review of Life of Pi, the novel, here. Certain books are considered unadaptable to film. Life of Pi, by Yann Martel, always been one of them. 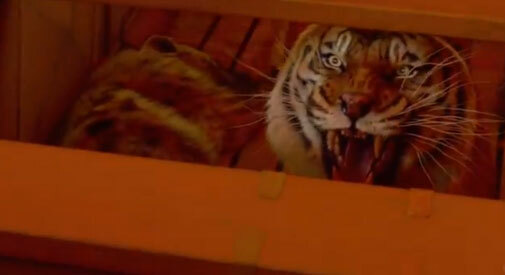 Two thirds of the book take place in a lifeboat, after all, following the survival of young Pi Patel and the tiger he is trapped with after a shipwreck claims the lives of his entire family and a host of zoo animals. Taking on the Everestian challenge to adapt the book because it is there to be adapted is director Ang Lee, possessed of remarkable vision and intuitive grasp of the nature and importance of storytelling. And what an incredible story he tells. Lee maintains the novel’s narrative framework, introducing a nameless writer (Martel himself, in the book) who has been trying (and failing) to write a novel in India. He arrives at the home of Pi Patel on the advice of a friend he made in Pondicherry: if the writer wants a story, the friend promises that his nephew in Montreal has one that will make the writer believe in God. As Pi fixes lunch, he tells his tale. He begins with the origin of his name, adventures from his childhood, his growing fascination with world religions, and life as the youngest son of a zookeeper. 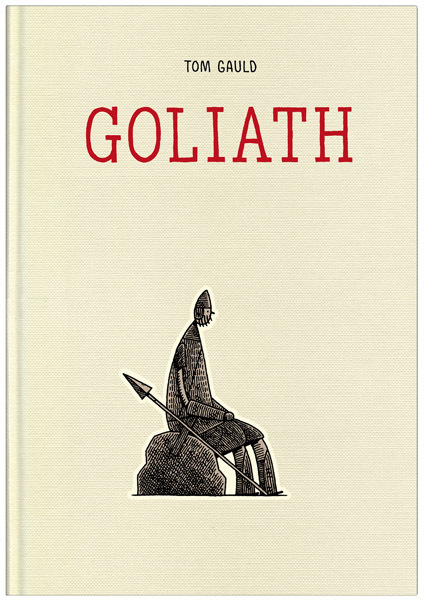 In this spare, moving graphic novel, Tom Gauld approaches the familiar tale of David and Goliath from an unfamiliar point of view: Goliath’s. Playing with the idea that we only know the victor’s side of history, Gauld creates a deeply human Goliath who is sweet, quiet, and unassuming. Goliath just happens to be quite a bit bigger than the average soldier. Multimedia Mondays is a new feature on EditorialEyes Book Blog, including reviews of graphic novels, theatre, ballet, movies based on books, and all things book-related in other media. 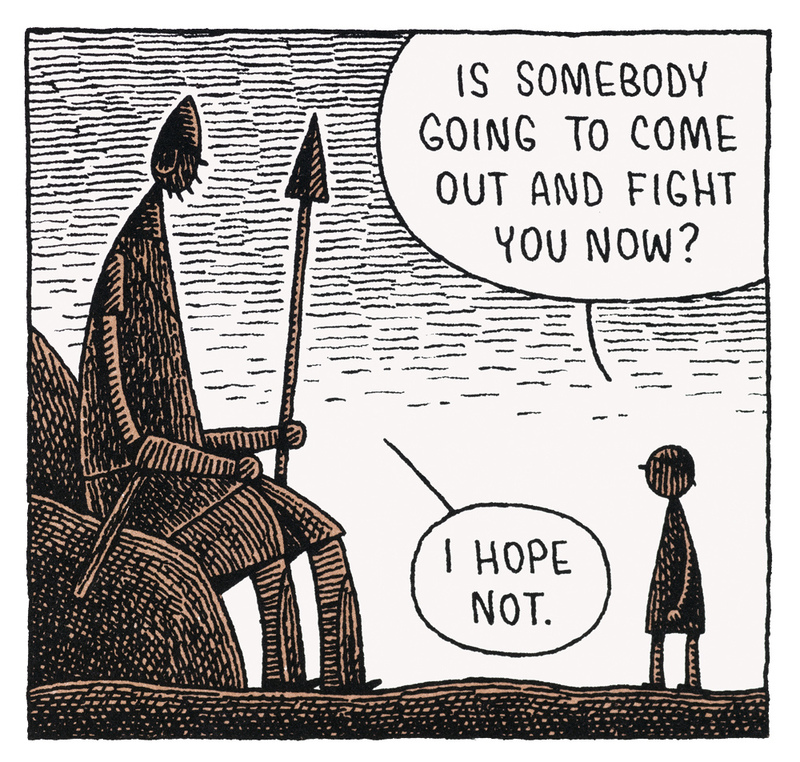 In this spare, moving graphic novel, Tom Gauld approaches the familiar tale of David and Goliath from an unfamiliar point of view: Goliath’s. Playing with the idea that we only know the victor’s side of history, Gauld creates a deeply human Goliath who is sweet, quiet, and unassuming. Goliath just happens to be quite a bit bigger than the average soldier. He’s not a monster, a warrior, or even an expert fighter. He’s the “fifth worst swordsman” in his unit. But visually, he’s intimidating. Meanwhile, the king of the Philistines is presented with an idea, a way to end the stalemate wih the Israelites at a cost of only one or two Philistine lives. The king okays it without a second thought, and before poor Goliath knows it, he’s being measured for impressive-looking but shoddily made armour and is pulled off admin duty, which he quite enjoys. He’s sent into a valley and given a script to shout out to the opposing army.